WhatsApp Business is reportedly adding a feature to let businesses offer an online catalogue of their products. While WhatsApp is yet to announce the new development, a screenshot showing the online catalogue feature has emerged online to reveal its existence. It could give a boost to the user base of the business-focused app that already has over three million active users. Last month, it was reported that in addition to the existing Android app, the Facebook-owned team is working on a WhatsApp Business app for iOS to expand its presence. The app is also in the rumours to receive a chat filter feature to help businesses easily find the important messages from their customers. 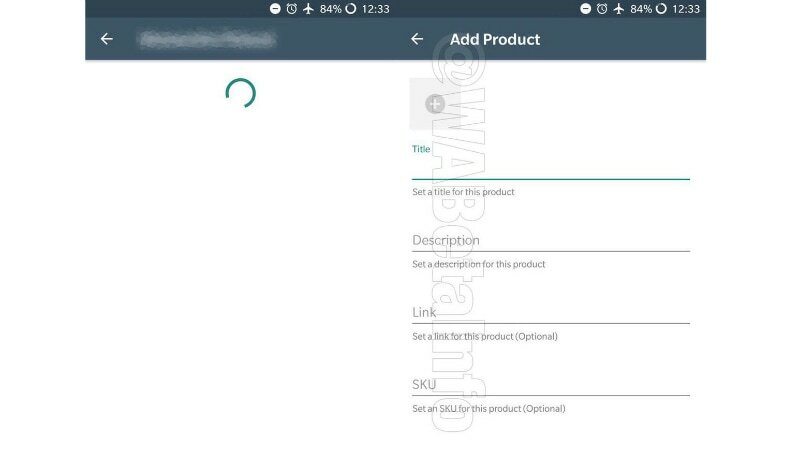 The screenshot leaked by WhatsApp beta tracker WABetaInfo shows that the WhatsApp Business app will enable businesses to add information such as Title, Description, Link, and SKU of their products in addition to their images. The app is not likely to offer businesses the option to directly sell their products. Having said that, the online catalogue feature will enable them to easily showcase their new products to customers. WABetaInfo folks additionally claim that the catalogue will visible in the standard WhatsApp as well. This makes sense as customers could generally be attracted with new products on the standard app. As the screenshot is apparently sourced from an Android device, we can safely presume the availability of the online catalogue feature on WhatsApp Business for Android. However, the WhatsApp team is also in the news for building an iOS version of its business app. A couple of screenshots showing the iOS version of WhatsApp Business app surfaced last month. The arrival of online catalogue on WhatsApp Business may open another avenue for WhatsApp to generate some revenue as it could levy charges to businesses for user referral to their products. To recall, WhatsApp Business was launched in January for Android users in six countries, including India, Indonesia, Italy, Mexico, Britain, and the US. Facebook CEO Mark Zuckerberg during the company’s Q1 2018 earnings call in April highlighted that the app has surpassed the mark of three million active users. Tell Us: Has A Social Media Post Cost You A Job? What’s the future of engineering education in India? What is ailing special education in India! Subscribe to Blog via Email !